Horseys Baby Bandit Lures from the Bargain Bin!!! Quote Reply Topic: Horseys Baby Bandit Lures from the Bargain Bin!!! These little beauties were sitting in a bargain bin along with some other treasures. 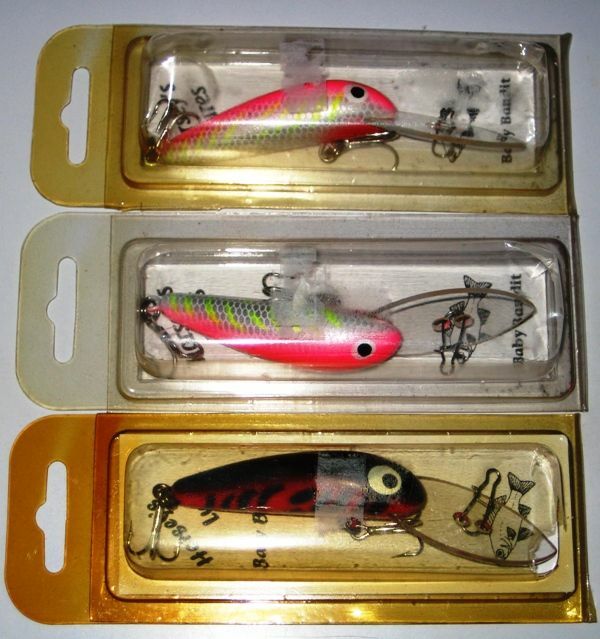 Note the different eyes on the bottom Baby Bandit (in what seems to be an older packet) does anyone know how to identify the approximate age of Horseys Lures?